Our Greek yogurt comes from Serres, in the heart of Greece's dairy belt, and is made with fresh cow's milk from local farms. It's strained using modern techniques that correspond to the traditional way of making Greek yogurt. Our Greek yogurt comes from Serres, in the heart of Greece's dairy belt, and is made with fresh cow's milk and cream from local farms. 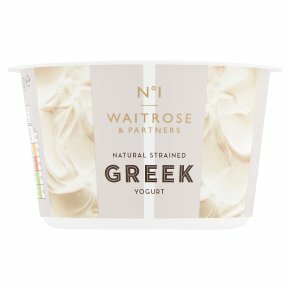 It's strained using modern techniques that correspond to the traditional way of making Greek yogurt, giving it a rich, thick texture.